Give the rear of your truck the protection it needs with one of our brand-new 2005-2015 Tacoma rear bumpers. Our bumpers will provide you with the look that you have been after for your truck while making sure that you are protected. Each one of the bumpers is made to withstand any knock or bump and absorb the impact as opposed to distributing it throughout the truck itself. 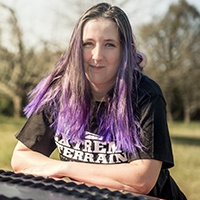 ExtremeTerrain carries a wide selection of rear bumpers for you to choose from and you will find that many of them come with a rugged and aggressive style that off-road enthusiasts tend to gravitate towards. Each one of the bumpers is generally a factory replacement, which means it offers a direct fit and will bolt on in place without much modification needed to your truck. When looking for a rear bumper, you will be able to choose from many of the top names in the rear bumper industry to include Smittybilt, Barricade, LEX Motorsports, and many more. Since we know that looks are everything, we do not limit you to just one or two style choices. In fact, you can choose from any type of finish you want for your bumper from chrome to powder coated and more. While many of the bumpers are basic, there are some enhanced options offered which include features such as back-up sensors, lights, and more. The choice is, yours to make and you will be able to dress your truck up with any of our 2005-2015 Tacoma rear bumpers. ExtremeTerrain works hard to bring you rear bumpers at an affordable price and we invite you to shop our online selection today. We offer free shipping on orders over $75 and we always deliver our products right to your door for your convenience.